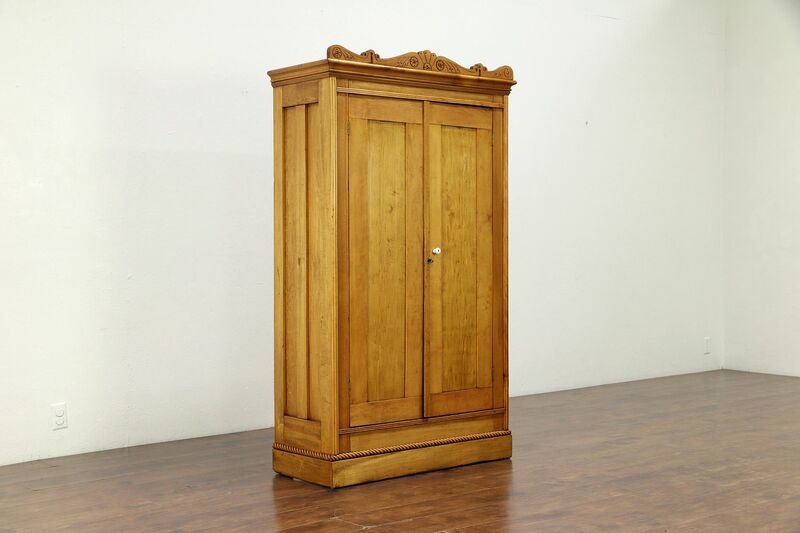 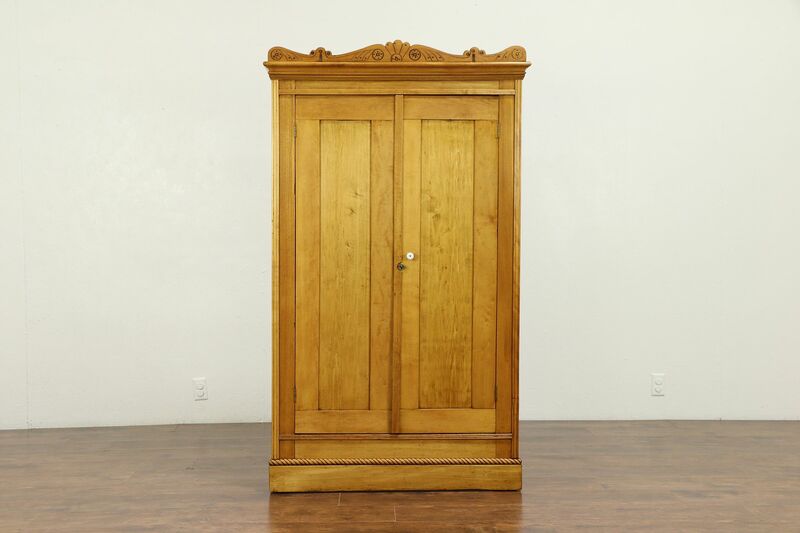 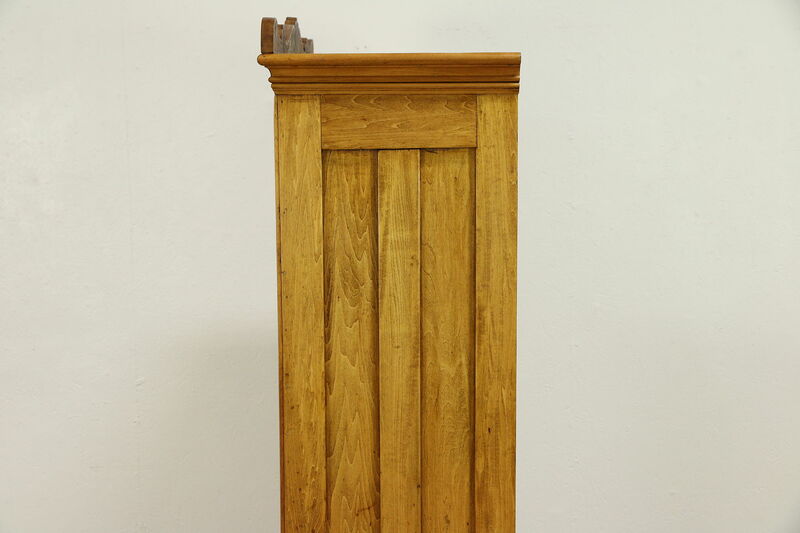 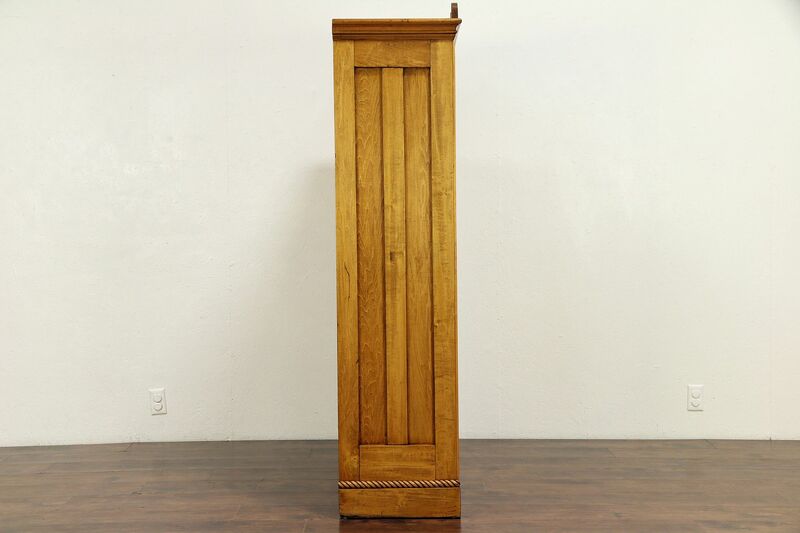 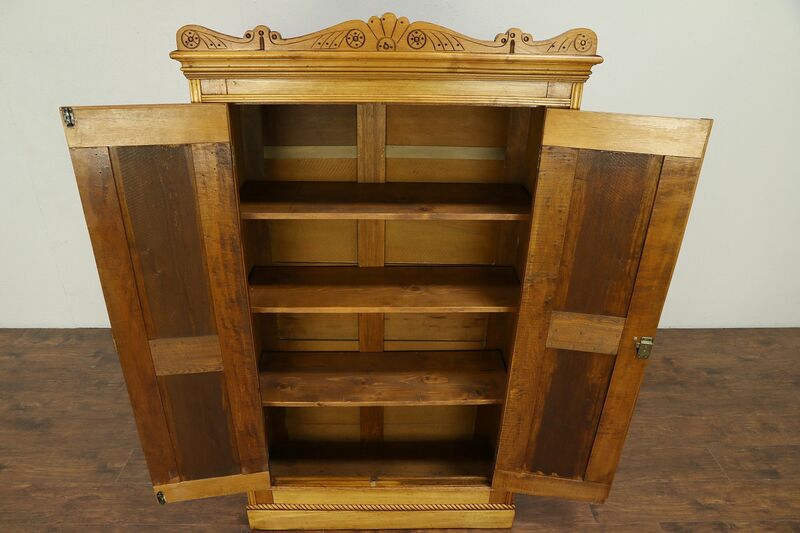 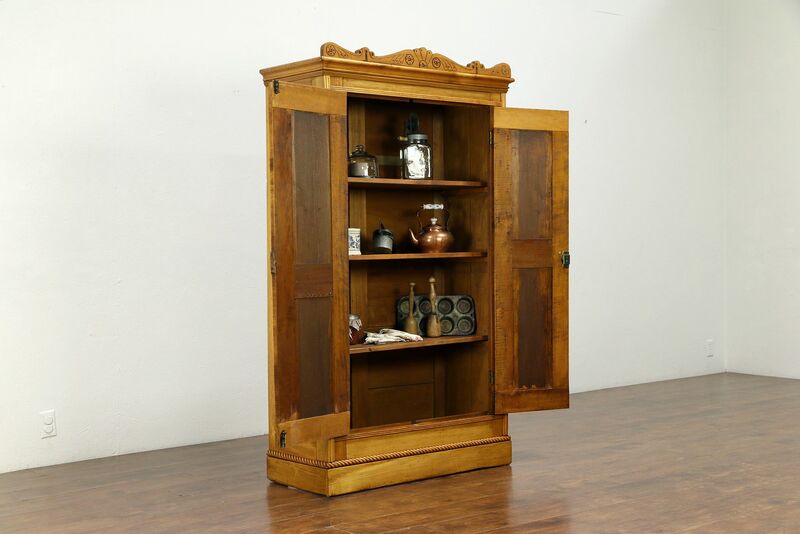 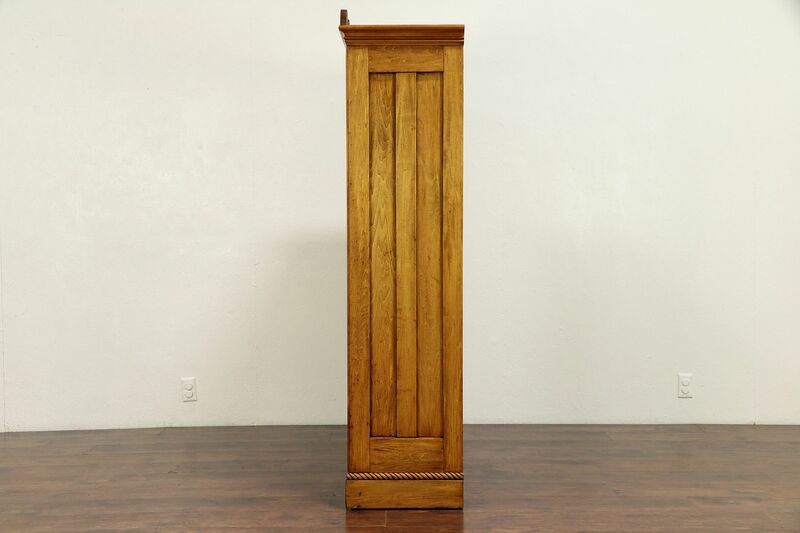 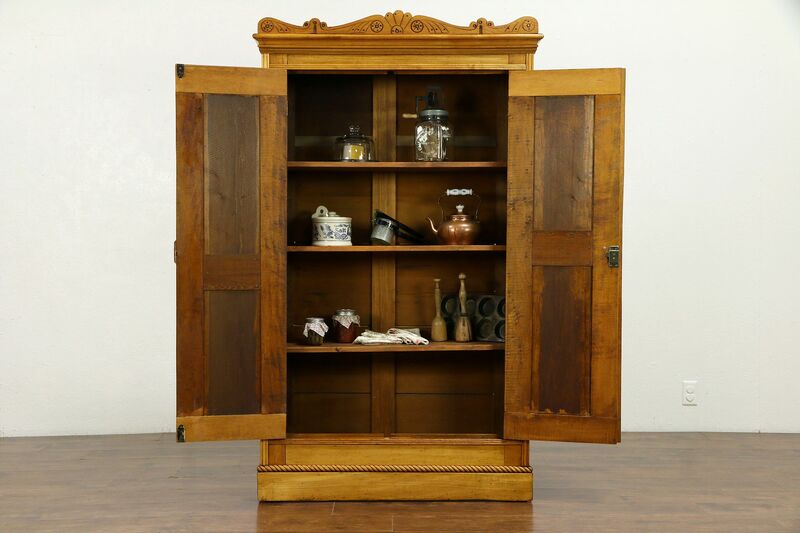 A late Victorian or Eastlake period small armoire was probably made for a child. 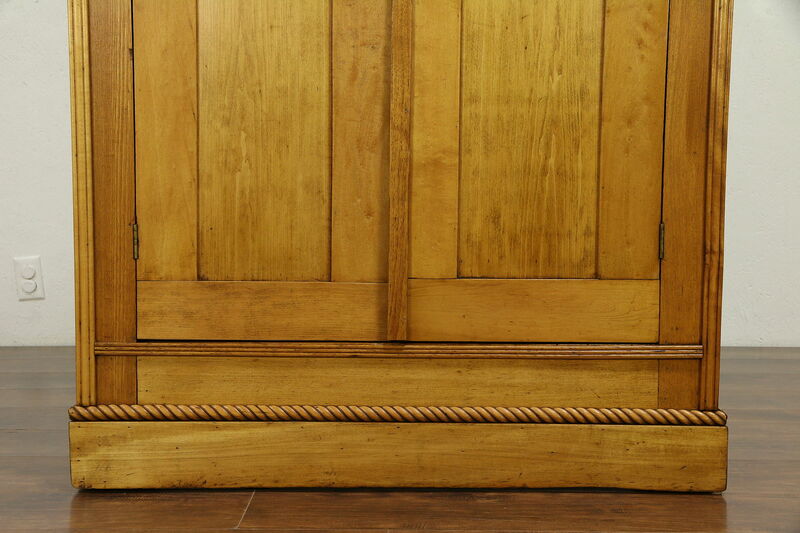 Solid birch and maple with incised carving and rope moldings, this could be a linen chest as well. 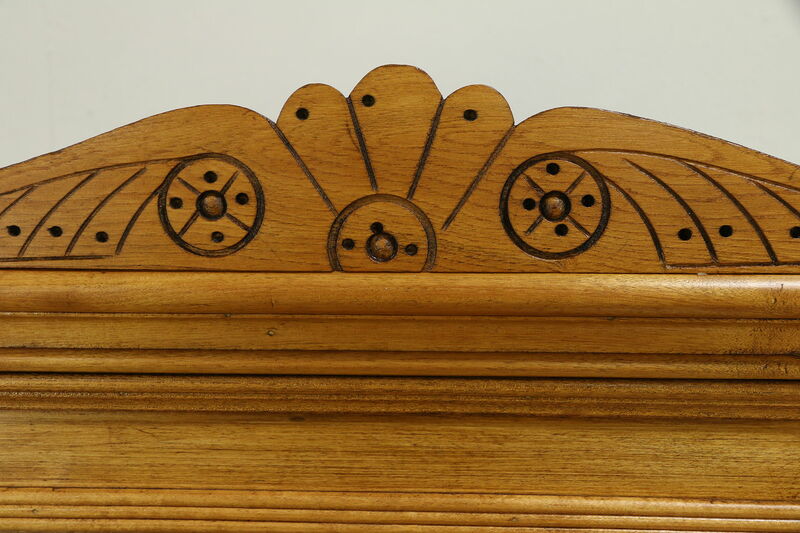 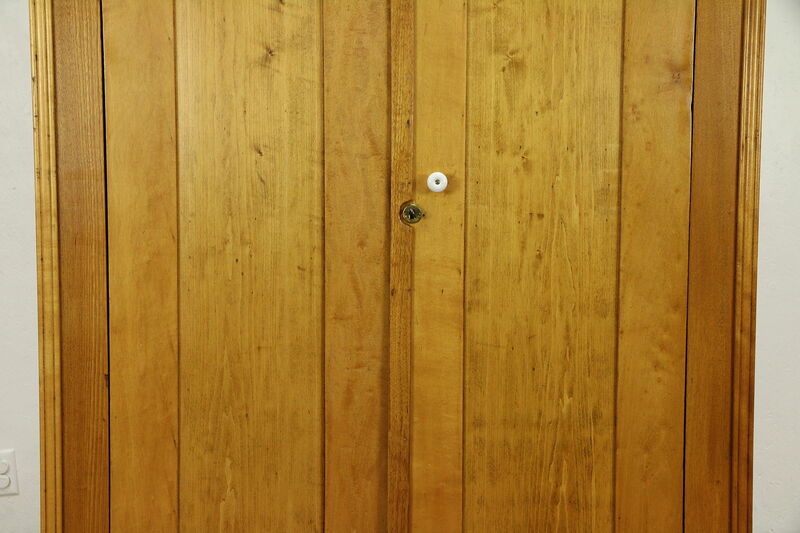 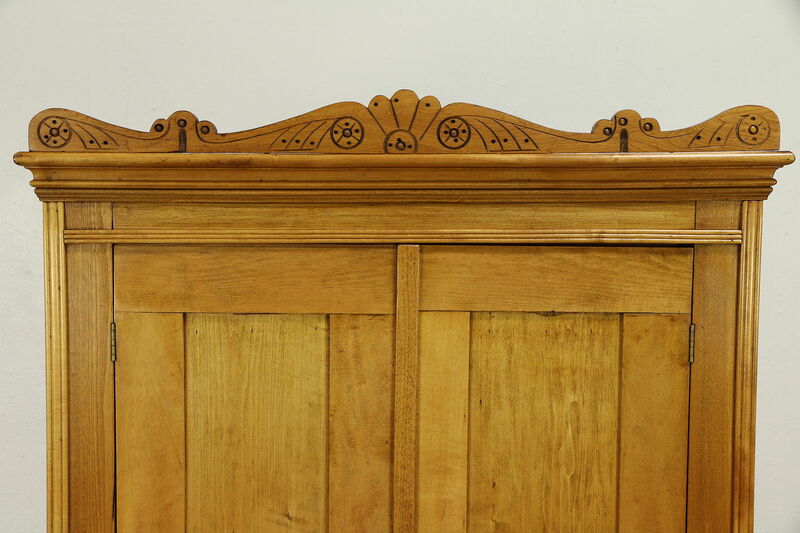 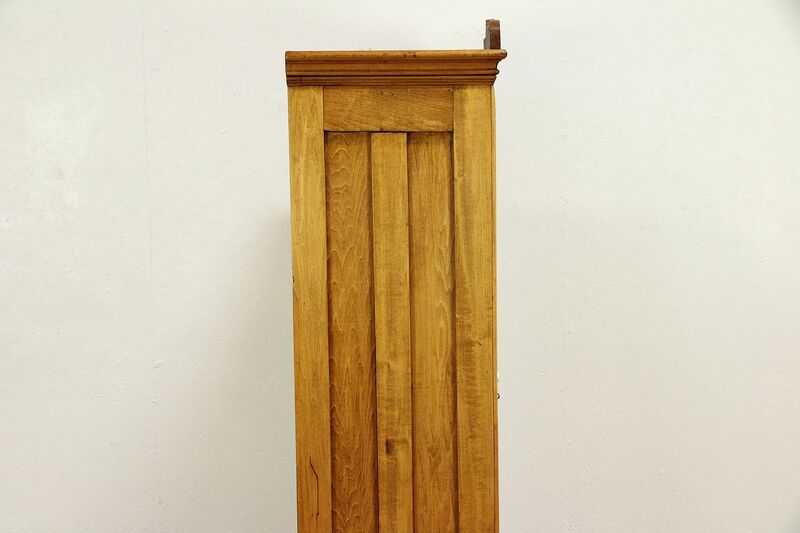 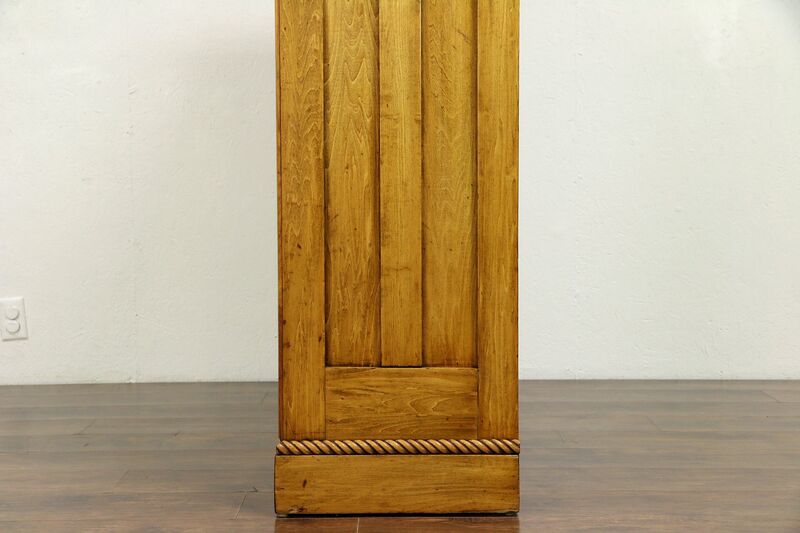 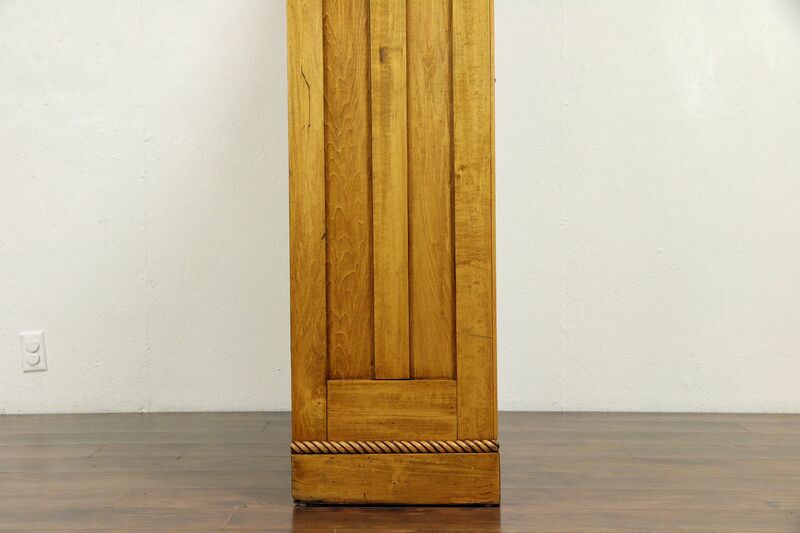 The older restored finish is in very fine condition on this American made antique furniture. 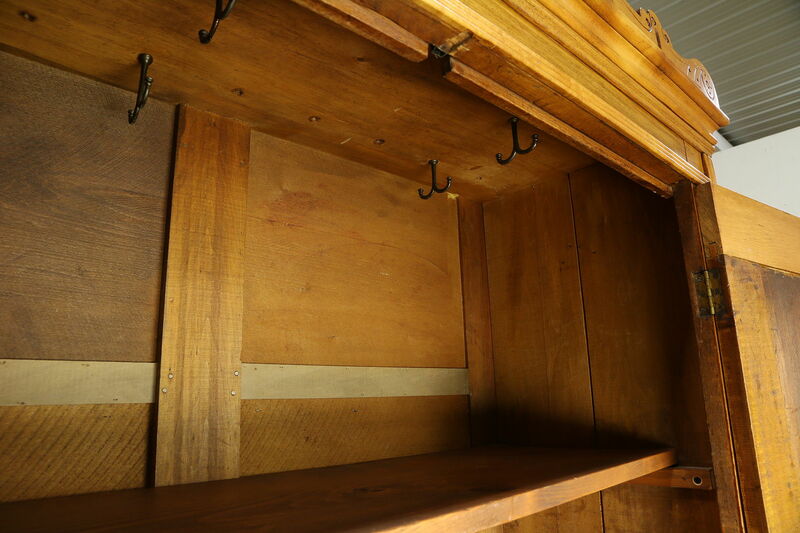 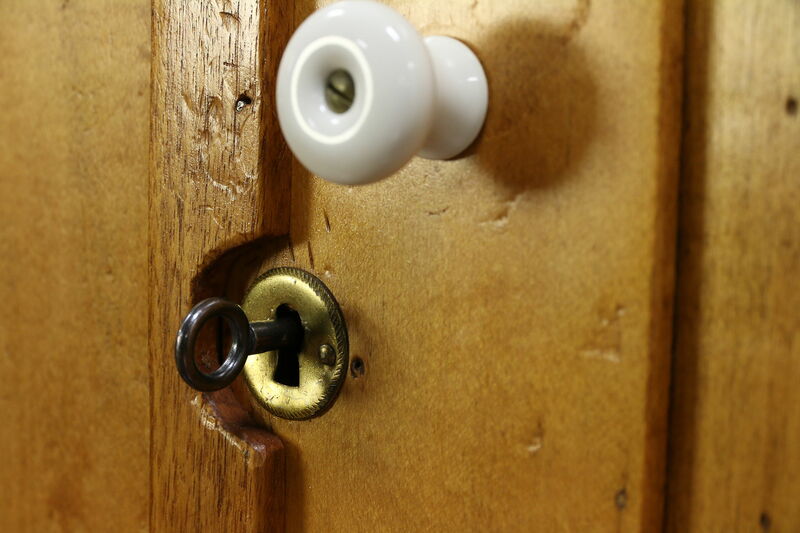 The door lock and key work, shelves are included. 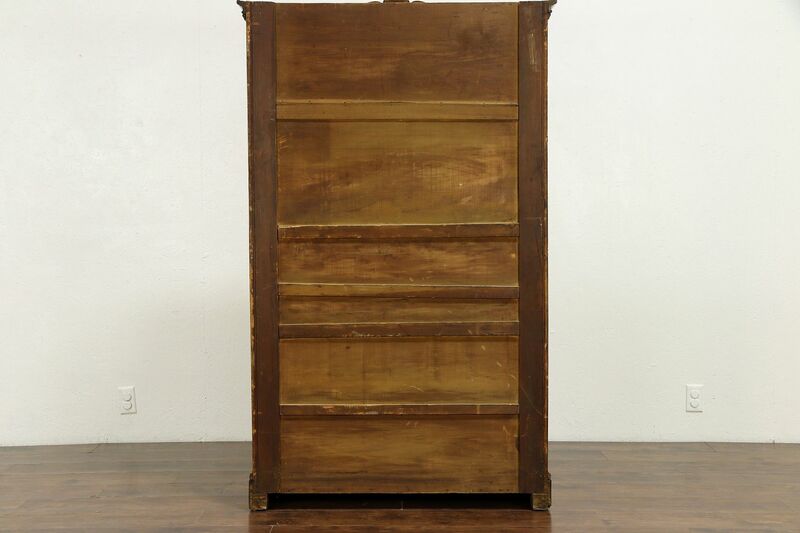 Size is 40 1/2" wide, 17" deep, 69" tall and interior depth is 13 1/2."